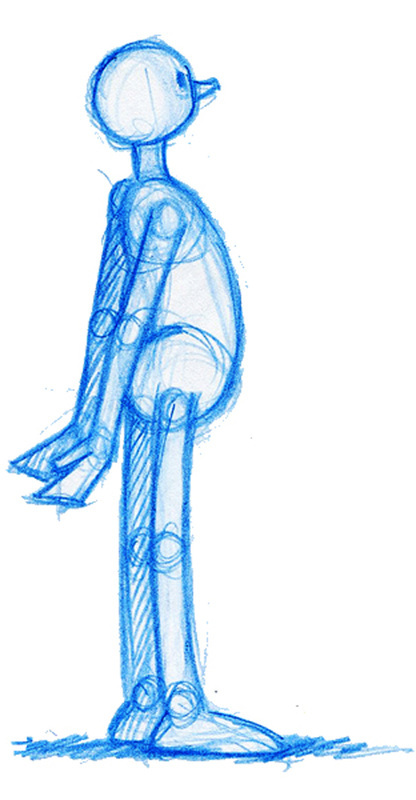 You will hear pretty much every serious animator say that it is ‘all about the pose’. This is entirely true as, no matter how much you put into your inbetweens or your finish, if you don’t have good poses you won’t have good animation! So this month it really is 'all be about the pose' – although our approach to it will be slightly different to 'drawing from observation' like last month. This time I want you to consider these 4 emotions... ‘Happy’, ‘Sad’, ‘Fearful’ and ‘Confident’. You can choose any single character design you want to express all 4 poses. You can also take as long as you need to get your drawings done ahead of the deadline indicated below. You simply have to totally encapsulate the emotion you are working with in a single pose - telling its story - then move on to the next one. You can use simple props too if you like. But please avoid using a background or environment to tell the story for you. It really is all about the pose of your character, which should communicate each emotion it has immediately. Note: Ideally you will probably wish to create your own character to work with here. However, if you’re not really a natural character designer (like me!) its OK for you to choose your favorite character by someone else and use that for your 4 emotion poses. Finally, please put all your drawings onto one single file before submitting! Thanks! ‘Good luck’ with your poses. The artist I feel has created the best 4 poses will receive a signed copy of my “The Animator’s Sketchbook”.